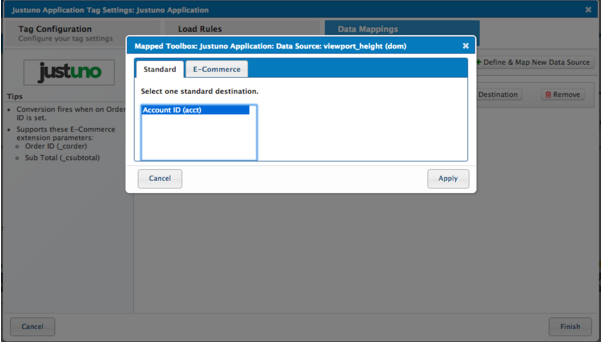 The Tealium integration contains both Justuno embed code snippets for Tracking and Conversion. 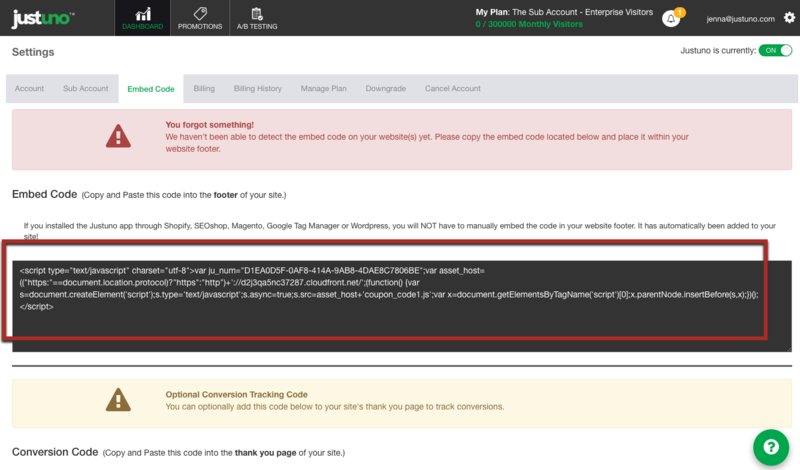 To utilize Conversion tracking, be sure you have configured an E-commerce Extension. The Conversion script will automatically fire once an Order ID is created. 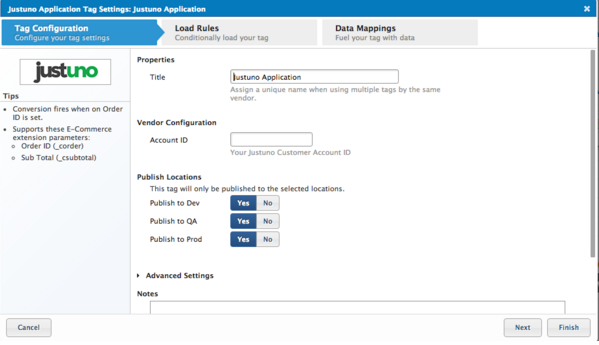 Set the Tag to load on All Pages (default load rule). For Conversion, be sure to include your Thank You page. 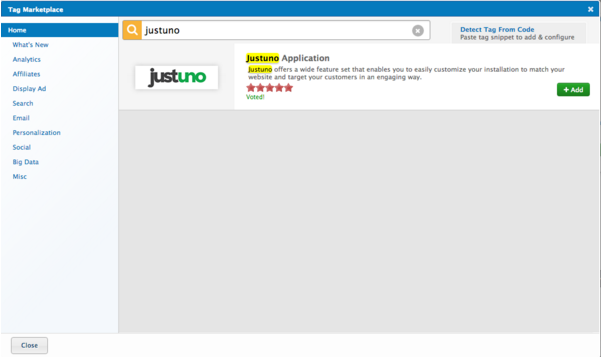 Justuno supports the eCommerce extension parameters "Order ID" (_corder) and "Sub Total"(_csubtotal). Step 4: Hit apply and you're all set!